Judo 2009 GBR World Cup Birmingham. 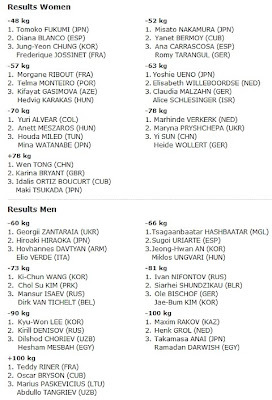 David Larose (FRA) - Leandro Cunha (BRA) [-66kg], the Final. 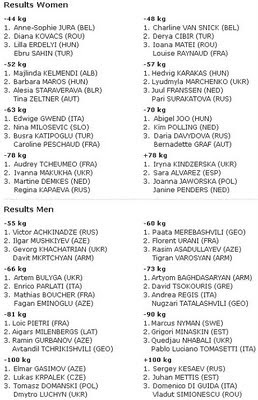 Judo 2009 European Championships Juniors Yerevan. Victor Achkinadze (RUS) - Ilgar Mushkiyev (AZE) [-55kg]; the Final.